A couple of drafts for backcloths. 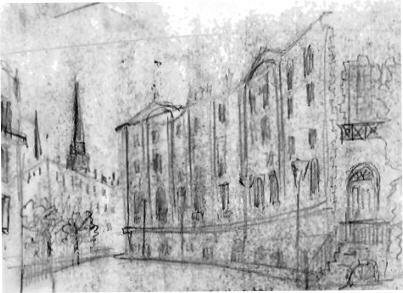 Poor quality very old pencil sketches. 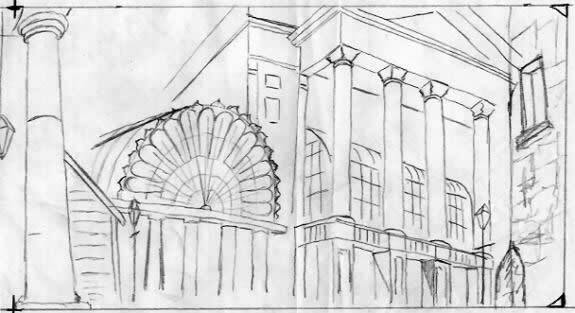 Covent Garden backcloth Outline sketch for copying onto the canvas.